This entry was posted on Friday, January 18th, 2019 at 1:32 pm and is filed under Conferences. You can follow any responses to this entry through the RSS 2.0 feed. You can leave a response, or trackback from your own site. To get things started, a very small sample: In the front row, we have Saharon, Menachem and Marion Scheepers. In the next row, I see Jean Larson, Carlos Montenegro and Ted Slaman. In the next row, Joan Moschovakis, Aki, Robert Soare, Adrian, Philip Welch, Hugh, Jech, Howard Becker, Carlos Di Prisco. In the next, John Addison, Solovay, Alekos, Andreas Blass, Joan Bagaria. Somewhere in there, you also find Paul Corazza, Ernest, Bill Mitchell, Tomek, Matt Foreman, John Steel, Tony, Yiannis, James Cummings, Carol Wood, Richard Shore, Cherlin. I’m fairly confident that third from the left in the front row is Alan Dow. What a great picture, thanks for posting it! 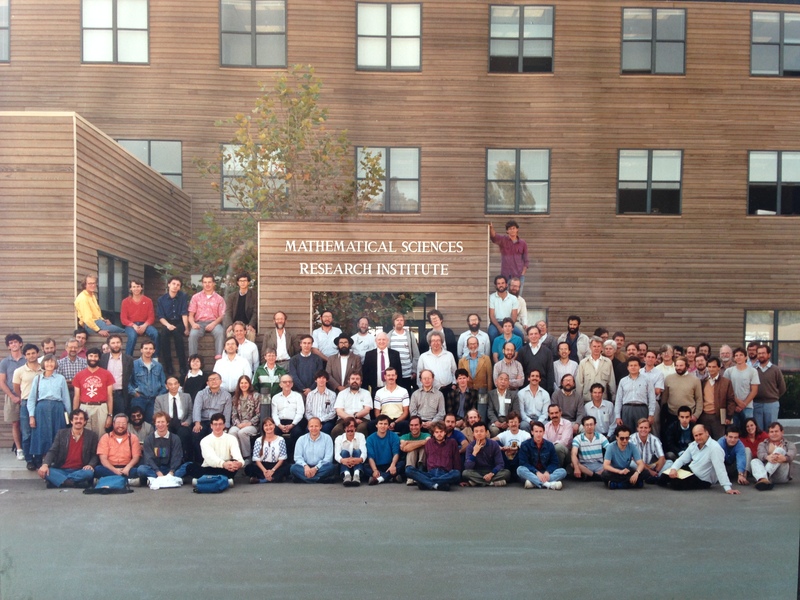 It is Bill Weiss in the first row, sitting first on the left. Isn’t it Jörg Brendle in the front row, 4 left from Saharon? Kai Hauser is next to James Cummings. James Baumgartner is NNW of Jean Larson. MacLane, Jockusch, Harrington, Soare, Mathias and Welch are all in a row? Solovay and Halmos behind them? Steve Jackson near Blass? Louveau in front of Joan? I know many more, and can post later, if you can indicate which people you don’t yet know.